As readers of “River Views” are most likely aware, the Chesapeake Bay has been put on a diet. Specifically, the “pollution diet” aims to restore water quality by limiting the amounts of nitrogen, phosphorus, and sediment that can enter the many rivers that feed into the Bay. The good news is, the various states are making progress towards these goals, through practices such as controlling stormwater, planting cover crops, and restoring riparian buffers. The bad news is, no state is likely to meet every one of its goals for pollution reduction in 2013. And of course, there are unexpected factors as well: for instance, heavy rains in 2011 washed large pulses of nitrogen into the Bay, even though efforts were in place to make reductions. These ongoing problems have left managers wondering if they can enlist a little help. Like a dieter who brings leftover desserts to the office so someone else will eat them, scientists are investigating whether oysters have the potential to “eat” some of the excess pollution in the Bay. The initial results look promising, though as with all things, there are no magic bullets. The chemistry of the nitrogen (N) cycle is complicated, but essentially revolves around two key facts: 1) it is a critical component of proteins and is thus a key element for living things; and 2) while N is the most common element in the atmosphere, most of it exists in a tightly bonded gaseous form (N2) that is useless to most organisms. In nature, N availability is controlled by a few types of bacteria that happen to be able to convert N2 into biologically useable forms, and it is thus often a limiting nutrient in both terrestrial and aquatic systems. The manufacture of nitrogen fertilizers and application to large areas of farmland, as well as the practices of allowing nitrogen-rich human and animal wastes into waterways, helps to feed algal blooms that cause dead zones, which is one of the reasons the Bay is on a “pollution diet.” Since oysters are filter feeders, sieving plankton and organic matter out of up to 50 gallons of water daily, it stands to reason that they would have the potential to remove significant amounts of these excess nutrients from the water. Researchers from the Virginia Institute of Marine Sciences set out to determine just how much of an effect oysters could have. Their results, published in May, suggest that oysters have more potential to reduce pollution than was previously thought. It seems that two processes are at work. First of all, the oysters are themselves taking up nitrogen, and incorporating it into their tissues and cells. This process would sequester the N for a while, at least until the oyster dies, with longer term storage provided by the much slower breakdown of the shell. Nitrogen stored this way would be completely removed if the oysters were harvested and their shells not returned to the water. 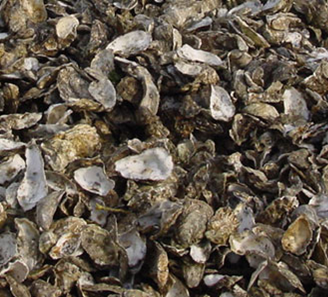 The second process derives not from the oysters themselves, but from the environment that they create: the oyster reefs tend to have low light levels but a steady supply of oxygen and organic matter, which is the right environment for a certain group of bacteria that perform a reaction called “denitrification,” turning nitrate compounds back into inert, harmless nitrogen gas. This study found some of the highest levels of denitrification that have ever been published. The oysters also reduced levels of the other main Bay pollutant, phosphorus, but at a lower rate than for nitrogen. The authors caution that it would take quite a bit of work to scale-up their results to the point where oysters play a major role in reducing the Bay’s pollution. 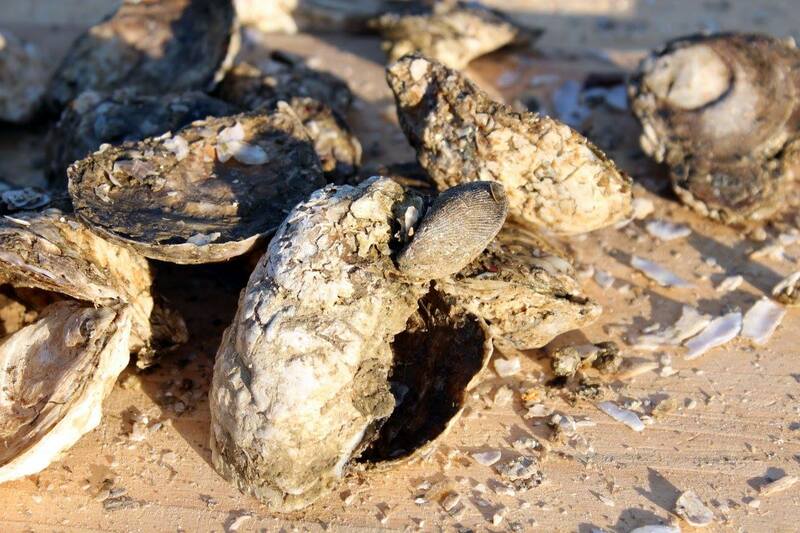 Since they studied a single restored reef in the Choptank River, their study areas contained higher density and larger individual oysters than are currently present through most of the Bay. Their results nonetheless point to the potential of full restoration: they calculated that “restoring oyster reefs to all suitable areas in the Choptank River would remove ~48% of the total external nitrogen inputs annually.” This would certainly put a big dent in the Bay’s nutrient load, but it is no easy substitute for the pollution diet: not only is full oyster restoration a huge goal in and of itself, but since oysters require the salinity of the intertidal zone, they can’t help to mitigate the effects of pollution in the freshwaters further upstream. References: Chesapeake Bay Barometer, 2011-12. http://www.chesapeakebay.net/documents/10-Pg_CBP_Barometer_for_web.pdf Chesapeake Bay Foundation. Milestones Assessment 2013. http://www.cbf.org/news-media/fed/2013/07/08/milestone-progress-being-made-but-no-jurisdiction-meeting-all-commitments Chesapeake Bay Foundation. State of the Bay 2012. http://www.cbf.org/about-the-bay/state-of-the-bay/2012-report Environmental Protection Agency. Kellogg, M.L., J.C. Cornwell, M.S. Owens, and K.T. Paynter. 2013.Denitrification and Nutrient Assimilation in a Restored Oyster Reef.